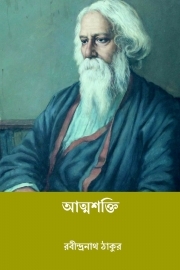 Description of "আত্মশক্তি ( Atmasakti ) (eBook)"
Tagore represents yet another sixth mode. He does not really theorize democracy as such, even as he admits to the necessity for justice and rights. The core of his democratic concerns lay not so much in the ‘form’ of democracy and the dominant conception of liberalism attached to it, but in the idea of atmashakti or self-empowerment. Atmashakti, in his conception, worked at two levels – with economic self-empowerment and subject formation. Tagore was committed to the possibility of actualizing a samaj or society based on symmetrical relationships between interconnected individuals. Rabindranath Tagore (7 May 1861 – 7 August 1941) was a Bengali polymath who reshaped Bengali literature and music, as well as Indian art with Contextual Modernism in the late 19th and early 20th centuries. Author of Gitanjali and its "profoundly sensitive, fresh and beautiful verse",he became the first non-European to win the Nobel Prize in Literature in 1913. Tagore's poetic songs were viewed as spiritual and mercurial; however, his "elegant prose and magical poetry" remain largely unknown outside Bengal.He is sometimes referred to as "the Bard of Bengal". Reviews of "আত্মশক্তি ( Atmasakti ) (eBook)"